Students at the IC can take advantage of Blended Learning Labs, which offer personalized learning through a combination of online coursework and tutoring. IC students also have opportunities to improve their job readiness by cross-enrolling in career and technical prep programs at two local high schools. “The setting is just small enough that we can be really effective and have the flexibility to meet their individual needs,” says Sizemore. Miles, Current student – During his freshman year at Shaker Heights High School, Miles was missing a lot of school due to anxiety. This caused him to fall behind in his classes – producing more anxiety. “I tried online learning at home, but it just wasn’t working for me,” says Miles. “It’s easier to do the work here because it’s a work environment and I feel compelled to do it, and it’s open and bright in here. The teachers are very helpful.” Miles also likes being able to work at his own pace, working ahead in subjects that interest him, like math. “I’m excited to take Honors Algebra,” he says. His career goal is to become an architect or engineer. Christian Guess, SHHS ‘18 – Christian, a standout basketball player at Shaker Heights High School, struggled academically and socially when he first transferred to Shaker as a sophomore – causing him to sit out the first half of the season. Upon his coach and guidance counselor’s recommendation, Christian enrolled in the IC, where over the next two years he improved his GPA to a B average and earned a qualifying ACT score for the NCAA. In his senior year at Shaker, Christian set the high school’s single-game scoring record with 57 points. Now, he’s enrolled at the University of Missouri where he plays for the basketball team. Chinarra, Current student – Chinarra came to the IC as a sophomore because she was struggling in several subjects. “The High School was too chaotic for me and there’s too much drama. Being here is like home; it feels like a meditation room, and my grades are better.” Chinarra is pursuing a two-year degree in cosmetology at the same time she completes her high school coursework so that she can graduate on time with her class. Her goal is to operate her own salon one day. Kailah Wilson, SHHS ‘18 –For Kailah, completing her high school education at the IC helped pave the way for her to pursue bigger dreams. She now plans to enroll in The American Musical Dramatic Academy in Los Angeles after completing her associates degree in the arts from Tri-C.
“The IC was the best fit for me because it allowed me to be able to collaborate with other students and become friends with people I had never thought I would be friends with. I formed actual relationships with teachers which was something I struggled to do before coming to the Innovative Center,” says Kailah. Lomond parent Rachel Patel, an engineer at Rockwell Automation, helped bring the program to Lomond. The Foundation is actively seeking additional community volunteers who are affiliated with Rockwell who can assist in expanding the program to other elementary schools. For more information, contact Holly Coughlin, Executive Director of the Shaker Schools Foundation, at coughlin_h@shaker.org. 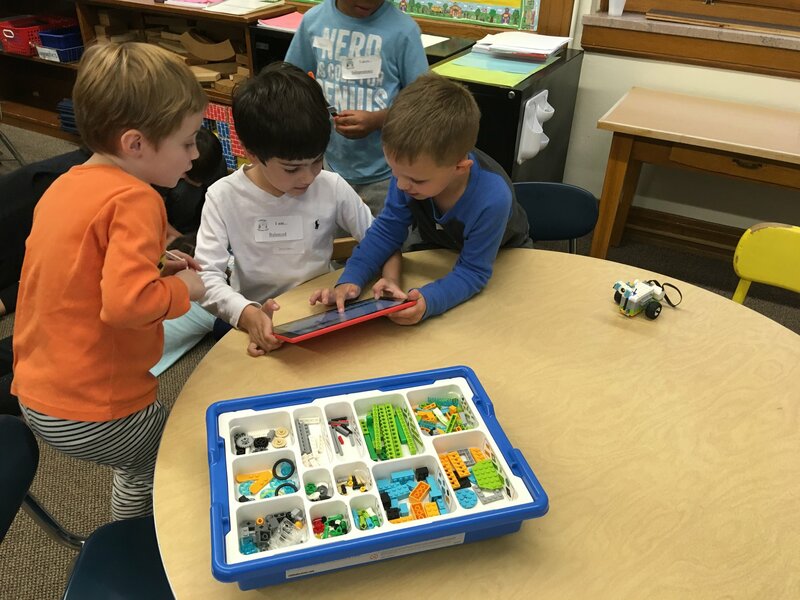 The Shaker Schools Foundation is committed to providing hands-on learning opportunities for all Shaker students, with a particular emphasis on STEAM initiatives. “Deciding to enroll in Shaker’s First Class was a big decision for us. Coming from a private school, we weren’t sure if we would get as much communication as we were used to, and it was the first year of a new program.The program has by far exceeded our expectations, in terms of the rich content and the diversity of the class, both of which were very important to us. We’ve gotten to know the other parents at events at school as well as through field trips to the Natural History Museum and Museum of Contemporary Art. I love the idea of teaching the kids holistically; it’s more about understanding the world around them, not just memorization.The children are more than ready for Kindergarten – they all know their numbers and their letters, and they can handle a daily school schedule. Just as important, we wanted to be sure that Grace was in a place where she learns to be a good person, and I think that’s what IB is all about. 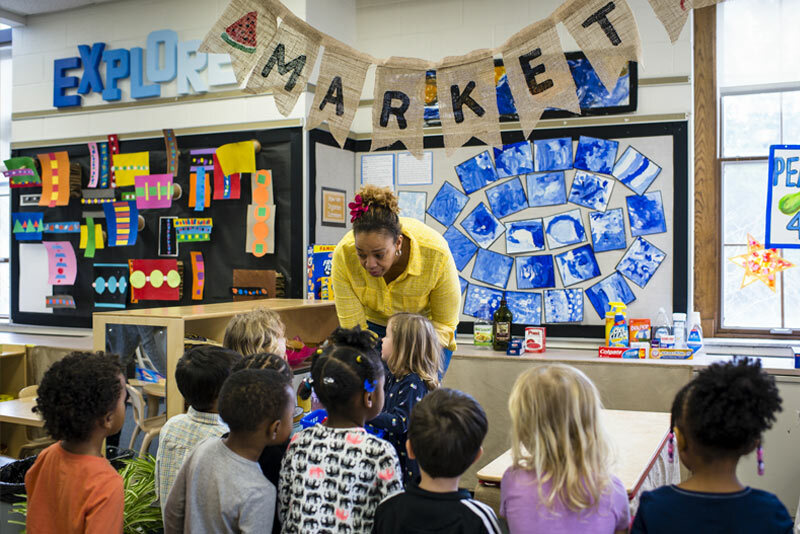 Shaker’s First Class is one of many initiatives the Shaker Schools Foundation is proud to support by helping to secure funding from outside partners. Those partners include other Foundations, corporations and private donors.